Mustard benefits in boosting the metabolism and stimulating blood circulation. Moreover, it is considered good for heart and decongestion of blocked sinuses. Mustard oil has excellent warming properties and is hence, used in massages to comfort stiff muscles. 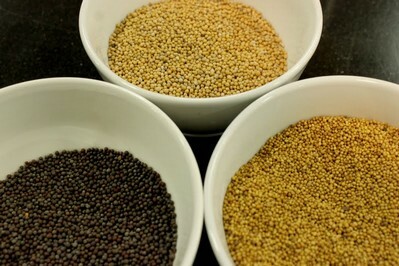 Mustard seeds are available in different varieties, of which three are most common. They are white, brown and black. Black mustard seeds are the most pungent. The herb is also used for culinary purposes as a condiment. The mustard plant is native to Europe and Asia. 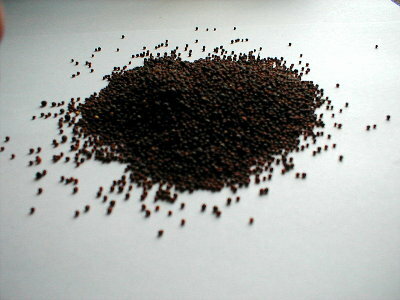 Black mustard seeds are usually grown in Canada, Great Britain, Hungary, United States, Argentina, India and Pakistan. This strong herb belongs to the Cruciferae family. Mustard has stimulant, irritant, antibacterial, anti-fungal, anti-inflammatory, diaphoretic, emetic, and aphrodisiac properties. The herb (mustard oil) contains isothiocyanates, known for their anti-cancer quality, especially for gastrointestinal and colorectal cancer. Moreover, mustard oil works as an appetizer as it stimulates digestive juices. Besides, regular consumption of mustard seeds reduces the frequency of migraines. Mustard benefits in the treatment of cough, cold, flu, and so on. Furthermore, this herb lowers blood pressure, relieves the symptoms of rheumatoid arthritis, reduces the severity of asthma, stimulates digestion and helps in the treatment of certain skin diseases. It is used for hair growth, too. Plus, it helps prevent atherosclerosis and diabetic heart disease. Due to its purgative quality, mustard can be used to get rid of accidental poisoning by having water mixed with powdered black mustard seeds. In terms of nutritional benefits of mustard, it is rich in vitamins, minerals, antioxidants and phytonutrients. This spice contains magnesium, selenium, iron, calcium, manganese, potassium, phosphorus, vitamin B complex, etc. It is worth noting that the hot taste of this spice is released when it is crushed and mixed with water; whole mustard seeds have no aroma. This herb can be used both internally as well as externally. • Having a glass of milk mixed with a few black mustard seeds is one of the most popular mustard home remedies for increasing appetite. Consume this home medicine about 15-20 minutes before meals. • Massaging mustard seed oil on the scalp stimulates hair growth. When dealing with hair loss, prepare a natural cure by taking 25 g mustard oil and boiling henna leaves in it until the leaves are burnt. Cool and strain the solution, and regularly apply it on the scalp, particularly the bald patches. Besides, drinking mustard tea is also beneficial in this regard. • Another benefit of mustard is that it can help clear chest congestion causing breathing problems. For this, you need to grind a quarter teaspoon of mustard seeds along a little water to form a paste. Consume this paste after adding honey in it. • Put a cup of mustard powder in a cloth bag and place it in a foot bath vessel containing four cups of warm water. Soak your feet in this solution for about 15-20 minutes to treat cold and flu naturally at home. • Add some water in a mixture of 50 g black mustard powder and 200 g flax powder. Apply this paste as a poultice to get rid of chilblains. • Simply taking half a teaspoon of yellow mustard is considered as an effective natural home remedy for heartburn. You can also have a piece of burnt toast along with it. 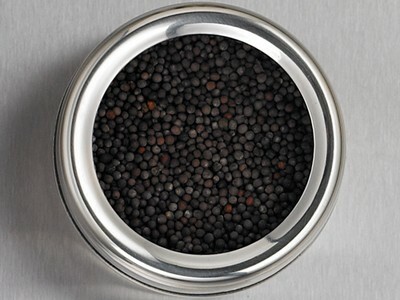 • Digestive benefits of mustard can be derived by having a cup of yogurt mixed with powdered black mustard seeds. In addition, drink a glass of buttermilk after the yogurt to cure piles. • Sipping a cup of warm water mixed with two teaspoons of mustard powder helps control hiccups. • Mix four cups of water and two cups of honey. Next, add a tablespoon of white mustard powder in it. Consume one tablespoon of this mixture daily to relieve constipation. • Grind mustard seeds along with some water to form a paste and apply it on skin to heal ringworm. Apply this paste three to four times in a day and then wash it off with lukewarm water. • Roast a handful of mustard seeds in a liter of coconut oil. Next, cool and strain this mixture. Apply it on face to lighten skin color and get rid of pimples. • Mix two teaspoons of ground mustard seeds and a teaspoon of sugar candy in a cup of boiling water. Let the solution cool and remove the layer formed on its surface. Finally, apply this medicine on the affected areas to cure boils on skin. • Mustard benefits in relieving arthritis pain by applying a combination of black or white mustard seed oil and rubbing alcohol on the skin. You can also use a mixture of warm mustard oil and 2-3 pieces of camphor. Another natural remedy involves soaking in bath water mixed with one teaspoon each of mustard and cayenne. Brown mustard oil is useful for asthma. • Soaking in bath water mixed with mustard seeds (tied in a cloth bag) can help reduce high blood pressure and fatigue. • When dealing with asthma, bronchitis, pneumonia, etc., apply a mustard flour poultice on the chest for about 15 minutes. Prepare this poultice by mixing 100g black mustard powder with water, sufficient enough to form a soft paste. Those who cannot tolerate strong mustard can use a half the quantity of mustard and 100g of flax flour. Mustard baths are helpful in relieving stress, healing insomnia, curing severe headache, reducing congestion, relieving joint pain, removing toxins, and opening skin pores. You can follow this therapy by preparing a mixture of a quarter cup of mustard powder, a cup of baking soda, and six drops each of eucalyptus, rosemary and peppermint essential oil. Add about four tablespoons of this mixture in bath water and soak in it. Besides, mustard oil can be used in vaporizers and fumigants for repelling insects. Interestingly, it is believed that mustard plasters can help in the treatment of snake bites, scorpion stings, epilepsy, toothaches, chilblains, etc. Individuals suffering from dyspepsia, sensitive stomach, gastrointestinal ulcers, or irritation of the urinary tract should not avoid prolonged use of this herb. Plus, avoid administering mustard remedies on children below six years of age. Although mustard benefits the body greatly, excessive use of this herb can give rise to side effects like drowsiness, diarrhea, vomiting, breathing difficulties, heart failure, and coma. When applied externally, it can cause blisters and skin irritation. Thus, if you have sensitive skin, do not use undiluted mustard oil. Good work here, God bless you. Keep it up. it is stated in the precaution in using mustard oil like drowsiness,heart failure ,difficulty in breathing and even coma. Is this side effect for internal use, or even external use? i mean for massage only? i want want further clarification please. thank you. i have chronic bronchaitic problem. Whenever i face difficulties taking breath, i use two teaspoon of mustard oil. It’s working fine for me. Haven’t taken any alopathic drug for the last one year. What if i consume one teaspoon of this daily, will it cause any side effect? Mustard applied to a sliver will draw it out overnight. I’m looking for good alternatives for my wife to inhalers to treat asthma. Can she take the mixture with honey once a week or so? I read in a book on natural remedies that a hot mustard foot bath every night can help insomnia. I am going to give it a try. It did say in the book mustard powder so I am going to try and get some in my local supermarket as soon as possible. If anyone has tried this remedy for insomnia who does view this site can you please let me know if you think it works at all. Any feed back is of help. I am going to give this leaflet to a friend as she suffers badly with asthma. There are times when she can barely breathe, I am amazed that the doctor has not put her on oxygen yet. She has long come out of hospital. I worry about her. I found the start off with this mustard flour through my physic Monseiur Patrick as he had it on his site. Thank you for the information, I will read it myself as it looks like it could help me with some of my problems. Once again Thank you.